Warm Me Up! : This is an app we'd recommend that has loads of great exercises to help you warm up your voices gently at home before you begin your practice. It has vocal examples at the beginning of the tracks and then piano accompaniment to guide you through. Just jump into the settings to alter the range from Female Low, Female High, Male Low or Male High to better suit your vocal range. 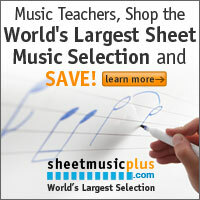 Sheet music Plus: The best website we've found to purchase our sheet music books. Whether it's a music theory book or a singers songbook, Sheet Music Plus is worth checking out. Musicnotes: This is a resource to purchase your Digital Sheet Music copies. The great thing about this site is that you can alter the key before you purchase your sheets so you get the best key for your voice. Itunes: Here is a link to iTunes for any music or backing tracks you'd like to download to help you practice your music. Theta Music Trainer: For students wishing to further their knowledge and appreciation of music, Theta Music Trainer provides games to help develop your overall musical skills and a deeper knowledge of how music works. Click on the link on the left for further information or to sign up. You can play the first 3 levels of each game for free.